Fred A. Tanner married Lucille Savannah Bagwell, daughter of John Daniel Bagwell and Mary Clyde Mitchell, after 1915. [S2131] United States Federal Census, Washington, District of Columbia, Population Schedule: Floyd Springs, Floyd, Georgia; Page 137; Dwelling Number: 55; Family Number: 55, Date: 1860. [S1372] Nancy Jane Isham Bagwell Grave Stone, Find a Grave, www.findagrave.com. Elizabeth Addeline Bagwell was born on 18 February 1847 in Everett Springs, Floyd County, Georgia.1 She was the daughter of John Wesley Bagwell and Nancy Jane Isham.1 Elizabeth Addeline Bagwell married Wesley Burns in October 1868. Elizabeth Addeline Bagwell died on 17 January 1897 in Armuchee, Floyd County, Georgia, at age 49. [S1556] James Wiley Bagwell Grave Stone, Find a Grave, www.findagrave.com. [S1424] Sr. Christopher G. Bagwell Grave Stone, Find a Grave, www.findagrave.com. [S1382] Eliza Ruemma Phillips Bagwell Grave Stone, Find a Grave, www.findagrave.com. [S1380] Larkin Obediah Bagwell Grave Stone, Find a Grave, www.findagrave.com. [S1150] William Henry Bagwell Grave Stone, Find a Grave, www.findagrave.com. [S1152] Huey Artemus Bagwell Grave Stone, Find a Grave, www.findagrave.com. [S2349] Email from Cindy Lea Bagwell dated March 2014 to Hunter Wayne Bagwell; Subject Line: David A. Bagwell's Ancestors. [S2132] Sara Jane Bagwell Jackson Grave Stone, Find a Grave, www.findagrave.com. [S2133] Newton A. Jackson Grave Stone, Find a Grave, www.findagrave.com. [S1373] Charles Mastin Bagwell Grave Stone, Find a Grave, www.findagrave.com. Americus Madison Bagwell was born on 4 March 1861 in Everett Springs, Floyd County, Georgia. He was the son of John Wesley Bagwell and Nancy Jane Isham. Americus Madison Bagwell married Mary Ellen Smith on 7 October 1888 at Hunt County, Texas. Americus Madison Bagwell married Mary Eva Lena Smith after 1891. Americus Madison Bagwell was buried on 24 December 1941 at Frederick Cemetery, Tillman County, Oklahoma.1 He died on 24 December 1941 in Frederick, Tillman County, Oklahoma, at age 80. Lucy Bagwell died on 8 August 1862 in Everett Springs, Floyd County, Georgia.1 She was born on 8 August 1862 in Everett Springs, Floyd County, Georgia.1 She was buried at Isham Family Cemetery, Everett Springs, Floyd County, Georgia.1 She was the daughter of John Wesley Bagwell and Nancy Jane Isham. [S1374] Lucy Bagwell Grave Stone, Find a Grave, www.findagrave.com. Laura Bagwell died on 8 August 1862 in Everett Springs, Floyd County, Georgia.1 She was born on 8 August 1862 in Everett Springs, Floyd County, Georgia.1 She was buried at Isham Family Cemetery, Everett Springs, Floyd County, Georgia.1 She was the daughter of John Wesley Bagwell and Nancy Jane Isham. [S1375] Laura Bagwell Grave Stone, Find a Grave, www.findagrave.com. Laura J. Bagwell was born in 1849 in Mississippi. She was the daughter of Henry B. Bagwell and Angeline Thompson. Mary E. Bagwell was born in 1851 in Mississippi. She was the daughter of Henry B. Bagwell and Angeline Thompson. [S639] John P. Bagwell Grave Stone, Find a Grave, www.findagrave.com. [S640] Florence C. Wells Bagwell Grave Stone, Find a Grave, www.findagrave.com. [S615] Charlotte Venable Bagwell Grave Stone, Find a Grave, www.findagrave.com. [S614] Dr Robert J. Bagwell Grave Stone, Find a Grave, www.findagrave.com. [S612] George King Bagwell Grave Stone, Find a Grave, www.findagrave.com. [S613] Virginia Johnson Bagwell Grave Stone, Find a Grave, www.findagrave.com. [S1077] Eva Bagwell Methvin Grave Stone, Find a Grave, www.findagrave.com. [S1078] Nix Methvin Grave Stone, Find a Grave, www.findagrave.com. Annie Bagwell was born in July 1893 in Lawrenceville, Gwinnett County, Georgia. She was the daughter of Robert Johnson Bagwell and Charlotte Virginia Venable. Her married name was Demoran. Annie Bagwell married R. Demoran. R. Demoran married Annie Bagwell, daughter of Robert Johnson Bagwell and Charlotte Virginia Venable. Nell Bagwell was born circa 1897 in Georgia. She was the daughter of Robert Johnson Bagwell and Charlotte Virginia Venable. As of circa 1926,her married name was Nolan. Nell Bagwell married Clark Nolan circa 1926. Clark Nolan was born on 15 May 1894 in Illinois. He married Nell Bagwell, daughter of Robert Johnson Bagwell and Charlotte Virginia Venable, circa 1926. Clark Nolan died in December 1964 in Dade County, Florida, at age 70. [S1381] Larkin Obediah Bagwell Grave Stone, Find a Grave, www.findagrave.com. 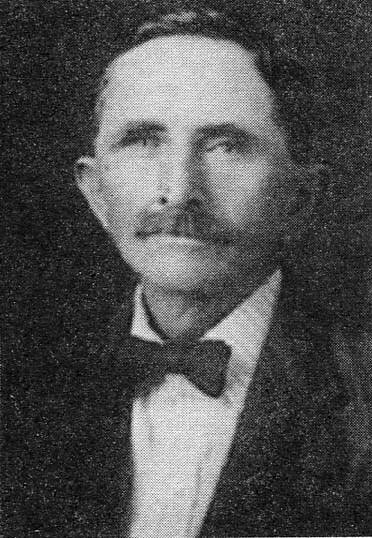 Gordon Lee Bagwell was born on 24 December 1878 in Armuchee, Floyd County, Georgia. He was the son of Larkin Obediah Bagwell and Victoria Dunaway. Gordon Lee Bagwell married Nina Williams after 1895. Gordon Lee Bagwell died in March 1967 in New Mexico at age 88. He was buried at South Park Cemetery, Roswell, Chaves County, New Mexico. [S2136] Mary Virginia Bagwell Grave Stone, Find a Grave, www.findagrave.com.